Queso Maxorata, a delicious unpasteurized goats’ cheese from the Spanish Canary Islands, is my current favourite cheese to eat with just about everything. This milky tasting cheese has a taste reminiscent of hazelnuts and a subtle spicy herbaciousness due to the goats’ steady diet of wild marjoram. While some goats’ cheeses have a distinct and sometimes overwhelming “goatiness” to their flavour, Queso Maxorata’s taste is smooth and lacks any of the aforementioned barnyardy qualities. 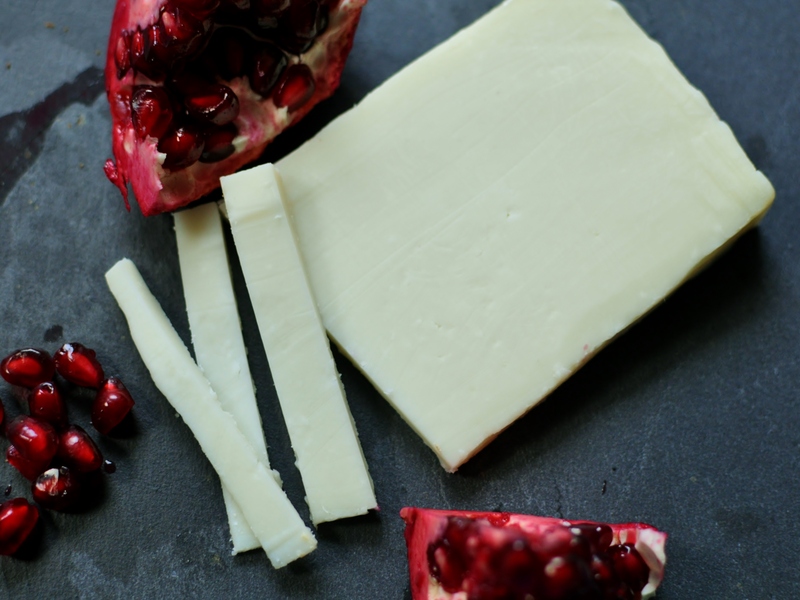 I love this cheese with pomegranate, onion jam, fruit chutneys, and seed crackers alongside a glass of dry rosé.